Ecozine is proud to support Art Central Hong Kong from the 21st – 25th March 2017; some highlights include a special viewing of Jeanine Hsu’s and Sean Lee-Davies latest eco collections. Hsu’s jewelry collection is inspired by Plantscapes by The Stalk Room, a virtual reality art demonstration by Mauro Bergonzoli. 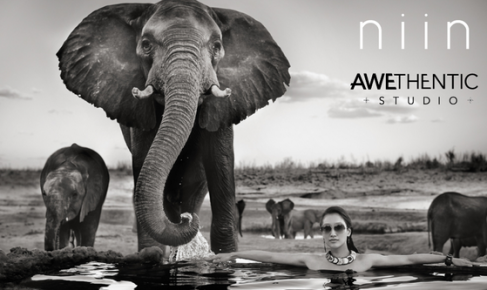 Along with the exclusive preview of ninn jewelry, celebrated photographer Sean Lee-Davies showcases his projects LOVE IS WILD photographs and the exciting VIRTUAL SAFARI, both promising to be a stimulating and lively event. Both Hsu and Lee-Davies are searching for a more of a sustainable lifestyle through their creative fields of photography, fashion and design and are leading the way in the practice of conscious creativity. Art Central in partnership with UBO returns to the Central Harbourfront with 100 contemporary galleries showcasing the next generation of talent alongside some of the most established galleries from across Asia and the globe. Now in its third edition, Art Central is recognized as a place of discovery and a platform for museum quality artworks from more established names to be exhibited alongside cutting-edge works by emerging artists. For more information, visit the Art Central website.